Instantiation Theory presents a new, general unification algorithm that is of immediate use in building theorem provers and logic programming systems. Instantiation theory is the study of instantiation in an abstract context that is applicable to most commonly studied logical formalisms. 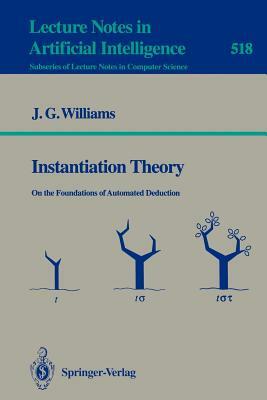 The volume begins with a survey of general approaches to the study of instantiation, as found in tree systems, order-sorted algebras, algebraic theories, composita, and instantiation systems. A classification of instantiation systems is given, based on properties of substitutions, degree of type strictness, and well-foundedness of terms. Equational theories and the use of typed variables are studied in terms of quotient homomorphisms and embeddings, respectively. Every instantiation system is a quotient system of a subsystem of first-order term instantiation. The general unification algorithm is developed as an application of the basic theory. Its soundness is rigorously proved, and its completeness and efficiency are verfied for certain classes of instantiation systems. Appropriate applications of the algorithm include unification of first-order terms, order-sorted terms, and first-order formulas modulo alpha-conversion, as well as equational unification using simple congruences.